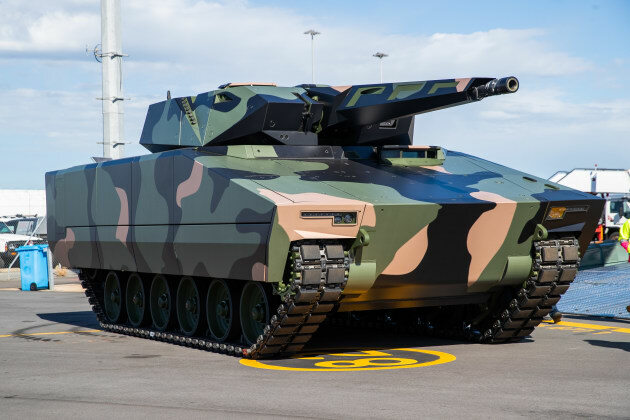 Rheinmetall has launched its campaign to secure the $15 billion Land 400 Phase 3 program with the arrival of its new Lynx KF41 Infantry Fighting Vehicle (IFV) in Adelaide ahead of the 2018 Land Forces Conference. The Lynx is a tracked, protected IFV designed to meet the military requirements of Land 400 Phase 3, which is an IFV for close combat - to close in and defeat an enemy. 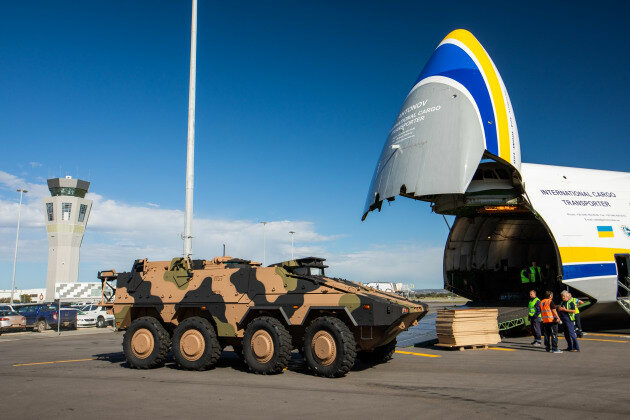 Rheinmetall Defence Australia Managing Director Gary Stewart said the Lynx – which touched down at Adelaide Airport aboard an Antonov cargo carrier - had been designed to satisfy the demands of the Army for the next 30-40 years. “Design, development and manufacture of the Lynx in Australia for the ADF will also build on the advanced manufacturing jobs at our new military vehicle centre of excellence being built at Ipswich in Queensland, as well as a strong industrial network of SMEs across Australia,” Mr Stewart said. LYNX is configured for mounted combat operations with the digital Lance turret. The vehicle can be configured to carry various mission kits and survivability packages with a flexible suspension system developed by Supashock. “We believe Lynx is the best vehicle in its class that sets a new standard in protection and the lethality needed to survive and defeat any adversary,” Mr Stewart said. Also on board the Antonov landing in Adelaide today was a Boxer Combat Reconnaissance Vehicle (CRV), which will form part of Australia’s first fleet of 211 Boxers to be delivered to the ADF from 2019. The Multi-Purpose Variant (MPV) Boxer to be displayed at Land Forces is being introduced into service and will be arriving from the second half of next year. Earlier this month, the Commonwealth officially signed a $3.3 billion acquisition contract with Rheinmetall for Land 400 Phase 2, a partnership that was initially decided in March. 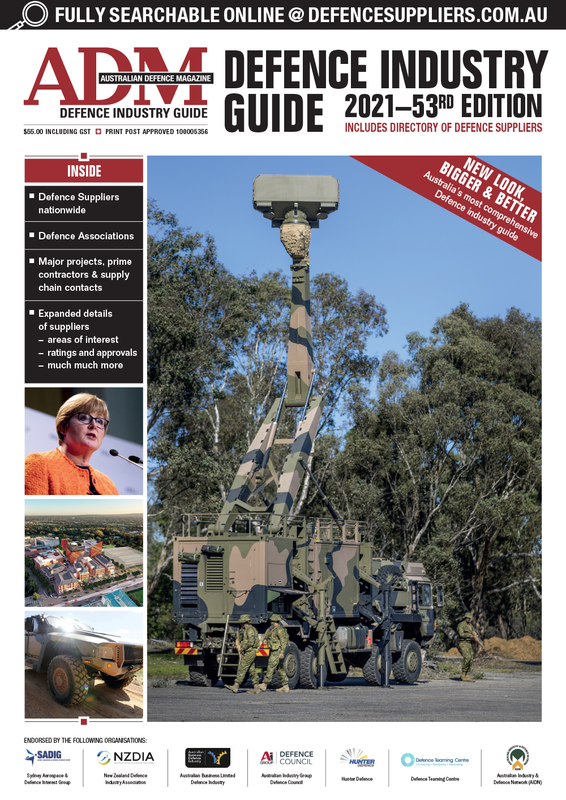 “Our partnership with Army and the Commonwealth to deliver the Boxer for Phase 2 presents the opportunity to deliver develop a complete armoured vehicle fighting force for the ADF,” Mr Stewart said. Many of the characteristics of the Boxers are also present in the Lynx. Both vehicles are modular, meaning the vehicle can be split in two with a mission module sitting on a common drive module. This allows for swap out of mission modules for operational needs, which Rheinmetall says will reduce through-life cost for the introduction of new technology and ongoing fleet management. The digital turret system fitted to the Lynx has the same architecture as the Lance system on Boxers. In a statement, Rheinmetall said this provides a level of commonality that reduces system development costs, support and maintenance costs, and the training burden on the Army. The question is, how will the Commonwealth create competitive tension for Phase 3? “All of these capabilities and our experience in designing, building and bringing these into service with the Australian Army are invested in our Lynx vehicles program,” Mr Stewart said. ADM Comment: Images of armoured vehicles emerging from the back of an Antonov are great, and we're happy to see that Lynx and Boxer are both in town to show at Land Forces. Rheinmetall's bid for Land 400 Phase 3 clearly leverages the company's selection for Phase 2, marketing commonalities between the Boxer and Lynx that it says will reduce through-life costs if Lynx is chosen as the IFV replacement. The question, therefore, is how will the Commonwealth create competitive tension for Phase 3? 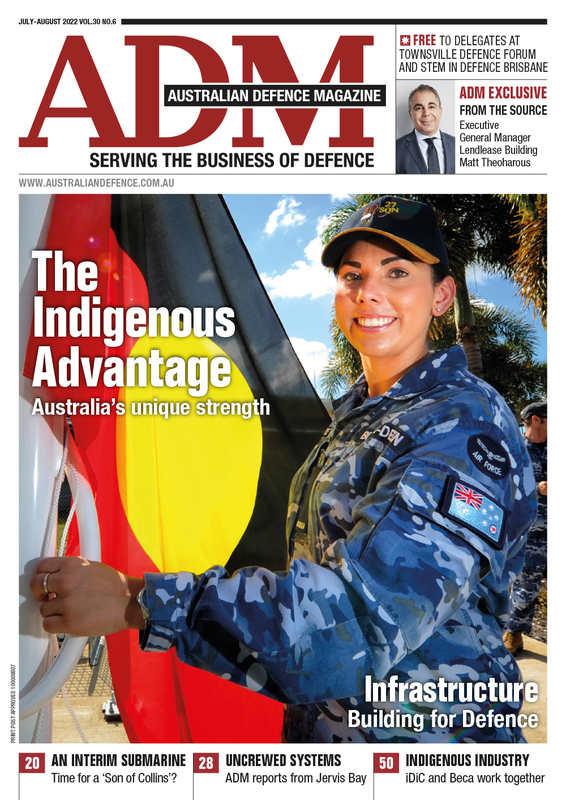 With this in mind, ADM also looks forward to seeing the full field of competitors for Phase 3 at Land Forces next week.